Saranac – What Ales You? Within the past 12 months, I’ve sampled Saranac’s 12 Beers of Summer, 12 Beers A Falling, and 12 Beers of Winter. 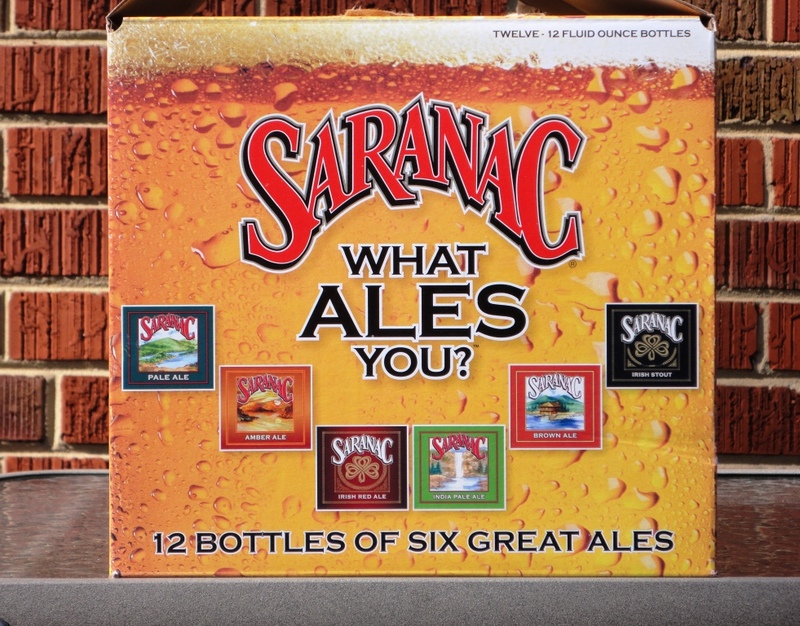 Next on the list: Saranac’s spring mix pack, What Ales You? Saranac Pale Ale, a crisp, classic English Pale Ale (5.5%). Saranac India Pale Ale, a hop lover’s delight. I can’t argue with that (5.8%). Saranac Amber Ale, What happens when you give a West Coast favorite an East Coast attitude? Saranac Amber Ale. Huh? The typical Amber Ale is a perfectly balanced beer, but we like our hops, so we’ve amped them up to challenge our Crystal and Toasted Malts to a throw-down. Oh, OK (5.6%). Saranac Brown Ale, a smooth, drinkable Brown Ale that’s a surprising 6.0% ABV. Saranac Irish Red Ale, a deep garnet session brew (4.5%). Saranac Irish Stout, a black dry stout with notes of roasted coffee (5.5%). I enjoyed this 12-pack while watching college basketball over the weekend of March 19-20. I also had some Sam Adams in the fridge, so we held an Irish Red taste-off: Sam Adams vs Saranac. We judged the Sam Adams Irish Red to be the better brew – it was more complex and flavorful, with a fuller body. But you gotta love Saranac for the affordable price. The What Ales You? spring 12-pack is only available through the end of March, so grab this one while you can. I found mine at Rodman’s in Wheaton, MD. The Matt Brewing Company in Utica, New York brews the Saranac line of beers.